Please note that the content of this book primarily consists of articles available from Wikipedia or other free sources online. The Brown-spot Pinion (Agrochola macilenta) is a moth of the Noctuidae family. It is found in Europe and the Middle East. It is possibly also present in North Africa, but this is unclear because similar looking species Agrochola meridionalis is found there.The wingspan is 38-35 mm. 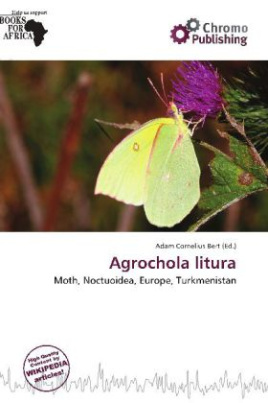 The moth flies from September to October depending on the location. The larvae feed on various herbaceous plants and deciduous trees. Recorded food plants include Rumex longifolius, Corydalis nobilis, Sedum telephium, Filipendula vulgaris and Lamium album.